Everyone on the new All Colour Envelopes mailing list is automatically entered into a monthly prize draw to win a £50 Amazon UK voucher. EVERY. SINGLE. MONTH. The longer you’re on the list, the more chances you have to win! Get exclusive subscriber only discount offers directly to your inbox PLUS find out first about new, funky and fabulous All Colour Envelopes product lines. 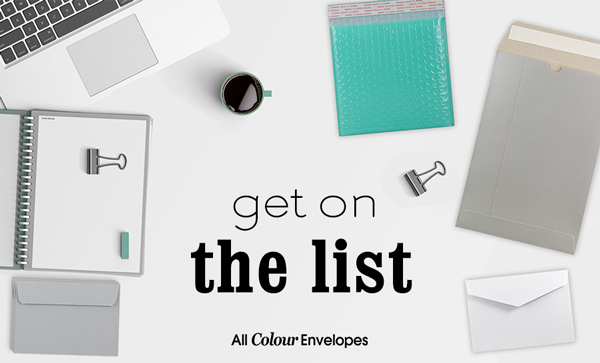 Coloured envelopes, metallic mailers, foil bags, padded bubble bags & so much more.